David is a sought after consultant to industry and government, principally as managing director of Solnet Advisory Services, a management consulting firm specializing in business improvement programs, financial analysis, service quality improvement and management development programs. 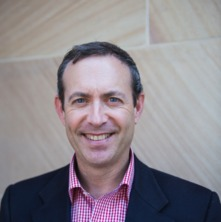 He comes from a restaurant background, with over 18 years of experience including senior management roles in the USA (Brinker International, El Chico Group, Bennigan’s Restaurants and Olive Garden) and Australia (including six years as general manager of Bretts Wharf in Brisbane). He has consulted to many organizations, including Merlo Coffee, Cactus Jacks Restaurant Group, Aromas Noosa, Ricky’s River Bar, Locale Ristaurante, Pier Nine Restaurant and Oyster Bar, Mitchell Ogilvie Menswear and Baguette Restaurant. David leads the workforce research team in the tourism group at the UQ Business School and has been a principal investigator on a number of state and national projects including two ‘tourism employment plans’ as part of the Australian Commonwealth Government initiative to address employment challenges in regional areas in Australia; and has worked with Service Skills Australia on a number of projects centred around workforce development. Expert in understanding the tourism workforce, ranging from the worker perspective, through to organisational and community/society perspectives. Specialisation in understanding the challenges and opportunities to leading and managing service organsations. Youth employment in hospitality and tourism: impacts, effects and legacy of early employment experiences. Discourse about workforce development in tourism- an analysis of public policy, planning, and implementation in Australia and Scotland: Hot air or making a difference? Comparing workforce development policy in Australia and Scotland: hot air or making a difference? Strategic human resource management in Malaysian five star hotels: “Best practise” or environmental “fit”? Sustainable Human Resource Management A Way to Address Hospitality Workforce Challenges?